Magontec’s program for cathodic corrosion protection and additional functions for hot-water storage tanks caused inspiring discussions with industry experts on interesting new developments at Dubai’s BIG 5 trade fair in November 2017. 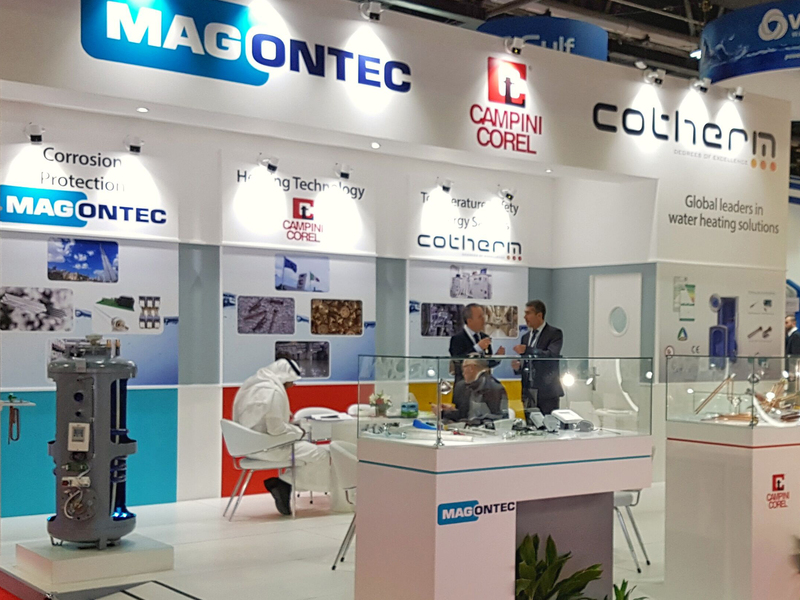 The focal point of Magontec’s presence at the BIG 5 trade fair in Dubai was their current program for cathodic corrosion protection. From 26 to 29 November 2017, the Magontec team also presented interesting solutions in the field of and around hot water storage tanks. A model of a modern hot water tank specially made for the presentation was used to demonstrate a wide range of installation methods. Visitors were informed about HyTonic© magnesium anodes, Correx© impressed current systems, and the comprehensive application ranges of the integrated solutions of the Q-Guard© and S-Patron© product families. 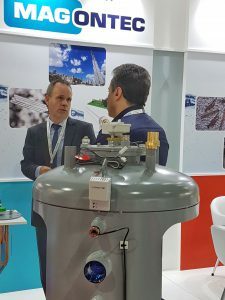 “We are a leading supplier of integrated systems for cathodic corrosion protection and intelligent control systems for hot water storage tanks”, says Christoph Klein-Schmeink, President of Magontec Europe, The Americas and The Middle East. “Customer interest in the field of storage technology is great. Above all however, we appreciate the discussions on building technology, which focus on the protection of large storage tanks and the management of their peripherals”. 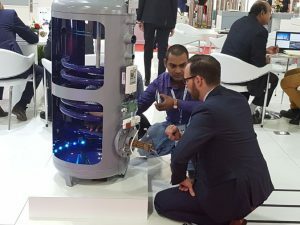 That’s why Magontec was present in Dubai for the second time. In addition to the classic and electronic protective current solutions, it is applications in water hygiene, heat recovery as well as temperature and solar control systems, with which Magontec offers its customers a future-oriented range of services. “In individual discussions, we also showed several solutions beyond these, which we have been developing in our test facility in Germany”, says Christoph Klein-Schmeink. This refers to technically complex applications in which Magontec has particular expertise. Magontec presented its program together with two leading European cooperation partners that produce heating elements and thermostats. Through this combination, the visitors were given a direct insight into closely adjacent technology fields. 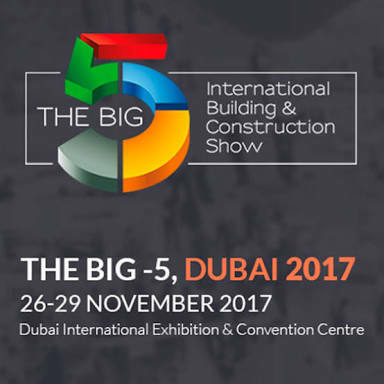 The BIG 5 in Dubai is the principal industrial fair for building technology and infrastructure in the Middle East. The resonance from the fair visitors was most positive.